I have positioned the buildings on the scenic area of Thomas and Sons. I’m rather pleased with the result. Phew, this layout idea will work! 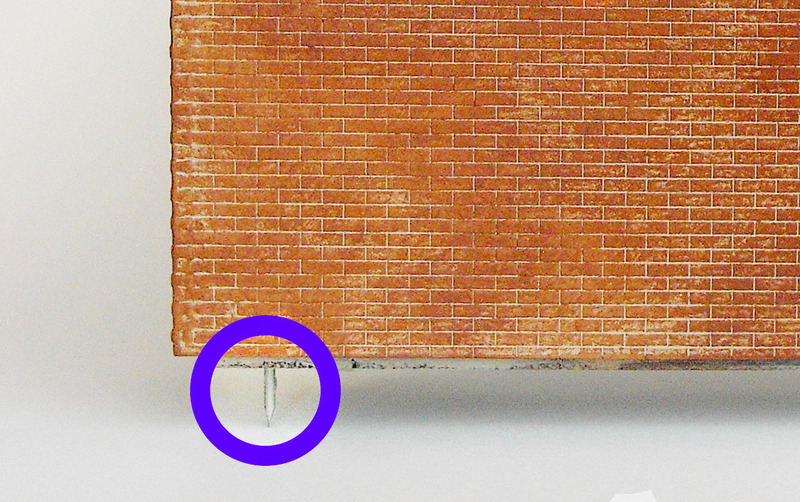 To attach the structures to the baseboard I glued small nails to the walls so they protruded about 1cm (0.4 inch) below the base. When I was happy with the position of the buildings, I used each nail to make a mark on the surface, drilled a hole in the baseboard at each point and put the buildings in place. I want to be able to remove the buildings to work on them so I haven’t glued them yet. What’s next? Oh yes, does anyone know a good roofer?